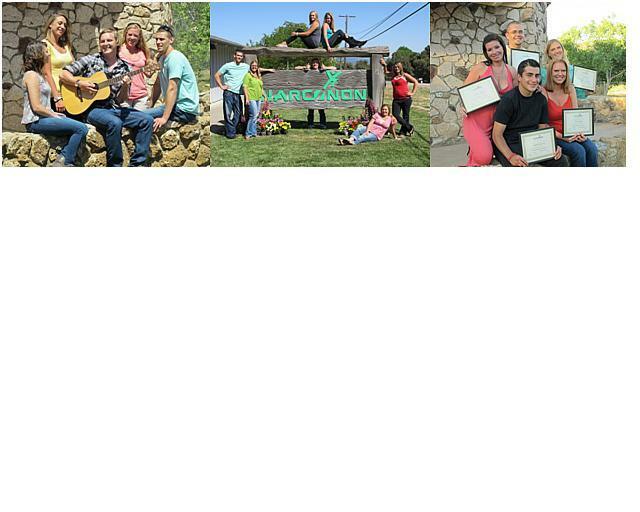 In order for Narconon Warner Springs now known as Fresh Start Sunshine Summit Lodge to operate in Sunshine Summit (community in Warner Springs), Narconon had to obtain a Major Use Permit from the County of San Diego. There were two Planning Commission hearings with the last hearing approving the project, the decision was appealed to the San Diego County Board of Supervisors and in December 2002 the Board of Supervisors approved the project. How much water they can use in a year 9 acre-feet and what they must do if they start to exceed trip points. I hope to provide more document that were used during the hearings. I was under the impression that most Narconons sell a 1 to 1 staff/student ratio. Of course they don't mention that they add in the kitchen help, groundskeepers, salespeople. Etc. According to this 30 students and 15 staff, this ratio couldn't be true. Families don't really realize that their loved one is going to be in a schoolroom setting with one person overseeing 15+ other clients. Thank you, Sunshine! I'd like to put that on Narconon Reviews, if it's ok with you. It will go nicely with the Narconon Credibility Investigation I just added. I hope I got the facts right about that one. Hey, source! Don't you know by now? Narconon lies. Not to say you shouldn't keep pointing the lies out, though. There are 50-60 clients there when their capacity is 30.
ethercat, you can use anything I post and thank you. Appears Narconon is embarrassed to be called Narconon. Below is part of a page from their old website notice the Narconon sign. Below is part of a page from their new website http-//www.freshstart.net/california.html notice something missing? It appears that they are following, almost exactly, a predictable path. Keep the original website containing the name Narconon in it. This is to keep critics focused on the word “Narconon”. All bad press goes toward “Narconon”. Create another secondary website and DBA for each Narconon facility without the name Narconon in it. Narconon Freedom Center becomes “Freedom Drug Rehab”. Narconon Vista Bay becomes “Redwood Cliffs Rehab”. Narconon Spring Hill becomes “Suncoast Drug Rehab”. On these secondary sites, remove most or all references to Narconon. If there must be a logo, shrink it or place it in the least noticeable place. In any press releases or public info, always refer back to the website containing the word “Narconon”. This is to keep the critics focused on the Narconon-named website, as well as the word “Narconon”. Build tertiary sites and blogs focusing on any words that include the secondary website name and the terms, “scam”, “review”, and similar terms. Do this to push the negative listings down. Focus more energy on building “Large Scale Directory sites” or fake referral sites. When referring, never refer to the program as “Narconon” anything. Only use the secondary name that doesn’t include the word “Narconon”. Get the family on the secondary website that doesn’t include the word “Narconon”. Guide the family through clicking around on different parts of the site, explaining each part. Take away their independence and become the guide. Always hot-transfer the call directly to the Narconon registrar. Keep the families off the internet. For registrars, always send out info packets via email immediately so the family doesn’t go on the internet if other family members want more information. Offer to lease or purchase individual phone calls from former FSM websites and others who still generate calls but are reluctant to refer to Narconon due to Black PR. Current prices are anywhere from $20-$30 per call. Allow off-brand non-Narconon programs to license the tech as is currently being done in Michigan. This way, there will be no mention of the word “Narconon”. Create short term spin-offs such as “sauna only” programs or “TR’s and Objectives” only. Find some outside agency that will claim independent analysis of the success rate. This way Narconon registrars can refer to the analysis success rate without being directly deceptive. Those certificates in the top picture are looking pretty ripe, too. Sorry to derail a serious subject. Thanks for spotting that, Sunshine. It's always so good to get visual proof of what they are doing and compare it to the information on such scams, lol!! Talk about a lame assed attempt at rebranding if this ever happens. Scientology is struggling so badly ,they are now doing anything to save their sinking ship. To late for that me thinks.